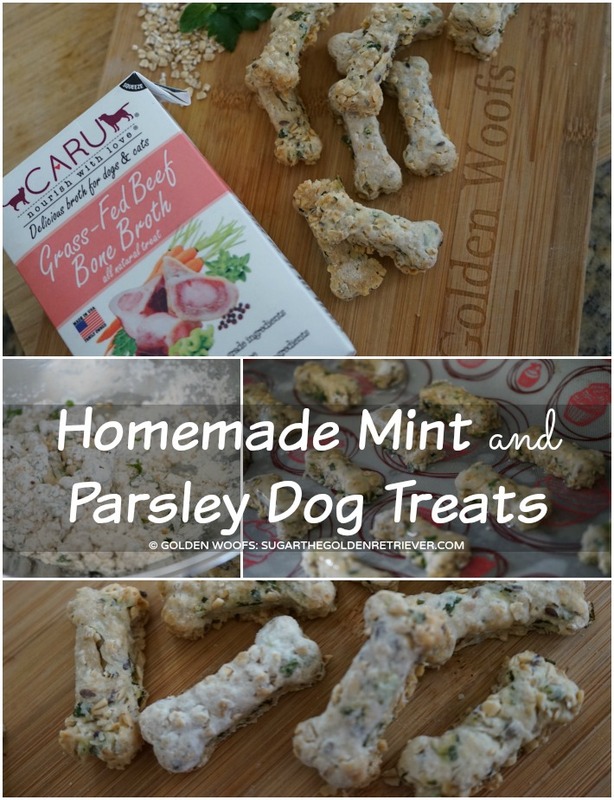 Freshen your dog’s breath with these homemade mint and parsley dog treats. 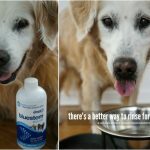 It is simple to make and your dog will love it. In a bowl, combine all the ingredients. Mix well. Place the dough on a well-floured surface. Roll the dough to a ~3/8inch thickness and cut out the treats using a bone cookie cutter. Bake at 400 degrees for 25-30 minutes until thorough dry. Optional: Brush each bone dough with coconut oil. Mint leaves are known for their distinct scent and flavor. 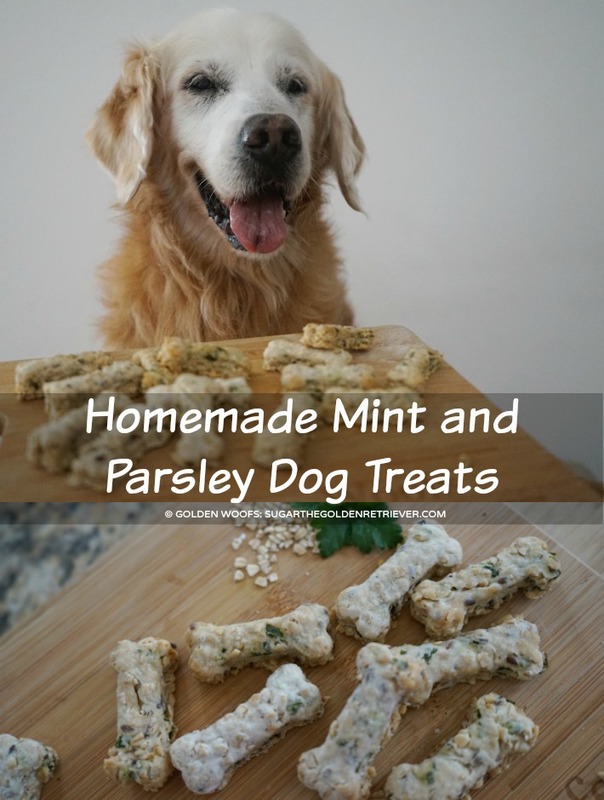 Wild mint, spearmint, and peppermint (garden mints) are non-toxic to dogs. In small amount, mint makes a great natural breath freshener. Parsley is packed with chlorophyll that helps fight bad breath. 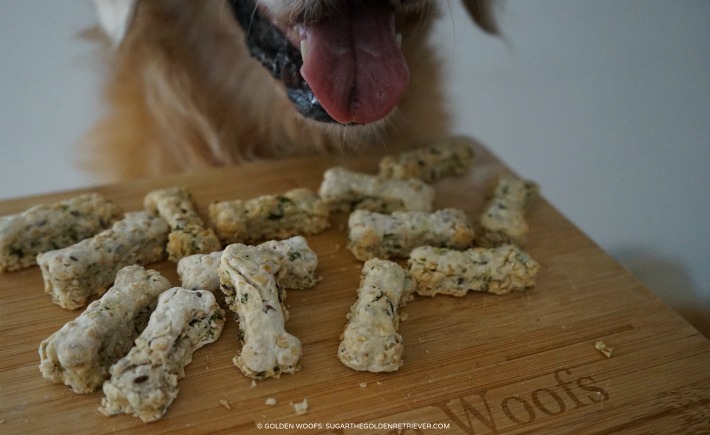 Small amounts of dried and fresh parsley are safe for dogs. 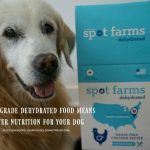 Bone Broth is one way to add nutrient to your dog’s diet. 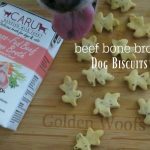 Caru Pet Food made it easy with their Grass-Fed Beef Bone Broth. Read more about it on our previous post: 4 Ways to Use CARU Beef Bone Broth. Golden DELISH! Woofs for Golden Fresh Breath! happy Saturday to you, Sugar! Ooooh…these sound quite delish! Thanks, Sugar…I’m asking my mum to make some for me and Elsa.